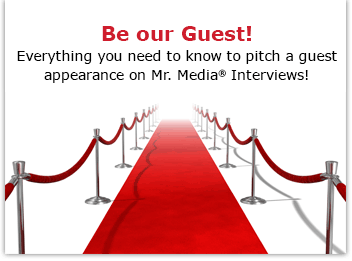 Watch this exclusive Mr. Media interview with Mark Proct by clicking on the video player above! Mr. Media is recorded live before a studio audience full of Stevie Ray Vaughan fans who will always wonder why he never bought a fancy new guitar to replace that beat-up old one he carried everywhere… in the NEW new media capital of the world… St. Petersburg, Florida! Order ‘Couldn’t Stop the Weather’ by Stevie Ray Vaughan and Double Trouble, available from Amazon.com by clicking on the CD cover above! The first time I saw Stevie Ray Vaughan live in concert, he was close enough to reach out and touch. I was sitting at the cool kids’ table – Tampa Tribune rock critic David Okamoto was there, as were Bill Templeton and Eric Snider, editors of the local music mag called, cleverly, Music. I was covering the show for the St. Petersburg Times. All of us had heard of the blistering blues guitarist from Texas and we all wanted to see what the fuss was about in person. Order ‘Tuff Enuff’ by The Fabulous Thunderbirds, available from Amazon.com by clicking on the CD cover above! It took about 10 seconds to know Stevie Ray was the genuine article. Today, I’m excited to welcome a guest who may well have been at that gig, too, long time Stevie Ray Vaughan and Fabulous Thunderbirds tour manager Mark Proct. Order ‘Home Today, Gone Tomorrow’ by Mark Proct, available from Amazon.com by clicking on the book cover above! Proct has just published Home Today, Gone Tomorrow: Snapshots from 40 Years on the Road – Austin and Back, a collection of snapshots from his four decades on the road with musicians, including Willie Nelson, Jerry Jeff Walker, Delbert McClinton, Carlos Santana, Jimmie Vaughan and the Fabulous Thunderbirds, and, of course, Stevie Ray and Double Trouble. We recorded this interview on August 27, 2015, which was the 25th anniversary of the helicopter crash that took the life of Stevie Ray Vaughan. The book is heavy on photos and light on stories, but I’m told Proct has the gift of gab, so let’s put him to the test. • 42:30 What it was like visiting the site of the helicopter crash the morning after the accident that took Stevie Ray Vaughan, two members of Eric Clapton’s crew, a CAA agent, and the pilot.